I remember watching a certain sports commercial as a kid during a forgettable Raptor game of years past , I was of an age where I didn’t take in stuff as much as I do now and so when a Nike Charles Barkely ad that featured a black and white setting, with Charles dunking in an open gym and telling the audience that he was not a role model. I didn’t think much of it then as I just thought what a weird moment in time that I saw a Charles Barkley ad in the mid 00s, and athletes for me a spry young punk kid thought of these superhumans as just guys who are megapaid and somehow perform these dumb acts of insanity and abnormality. Sure when it all ended they were human beings who went home and called it a day, but we never had the access we do now into their lives off the court or field. I never thought of what guys like Vince Carter or Moe Pete went through off the court when I was younger watching them from home, I just wanted to see how well they would do in consistently bad seasons. But years come and go and with technology becoming the norm of life, we get more availability into some of our favorite players lives, in comes sites like twitter, facebook and instagram (which in the NBA is the go to for pettiness) and all of the sudden fans and media alike get an all access pass into some of what goes on behind the curtain of NBA players, and all other pros in their respected profession. While most of what we get as fans is far greater and far more than what any of us should ever ask for, it gives us at the most rare of times a chance to see how human the worlds best really are. For every slam dunk there is a being that is maybe struggling with more than what we are seen on our 1080p tvs. But in comes Demar Derozan in his eight season out of USC, and a proud repper of both Comtpon CA and Toronto Ontario. Playing on a franchise best Toronto Raptors team playing their best ball since they drafted Demar, and maybe their best ball ever in team history. Freshly off of singing an extention to stay in Toronto for 5 more years worth 139 million dollars where during the off-season free agency madness, Demar never even gave it a second thought of where he wanted to go. Soon after his buddy Kyle Lowry decided to stick around, even though it seemed he was on his way out, and together followed by the best bench in the NBA would be kicking off (so far) the most impressive regular season in team history. Sitting at 44 wins as they sealed off another big win against a tough team in the Wizards, there is hard work to find any real hard struggles with this team. But that’s on the court, and like I previously said in today’s world it is easier than ever to see how these stars are doing beyond the bright lights and hard floors. Demar has been struggling with his ill father back in LA, and with the All Star Weekend approaching Demar Derozan opened up about his struggles with depression with a tweet that immediately was approached with love and support. Although basketball may be considered less of a hard hitting sport than some others, it is still played by some of the toughest humans out there. Professionals playing in such a high level high intensity athomsphere, they are given these shields of toughness and an almost brush it off attitude when it comes to showing the events they go through past game time. They are taught at an early age as kids to get right back up when you get pushed down, dust off your bruises and get back to the action. In the context of the NBA in this matter though, it shows how progressive the league has gotten when one of its biggest stars opens up about his struggles, and is not met with acts of weakness for being so vulnerable, but for being human in a world where humanity can seem so rare and at times unwanted in certain atmospheres. Twitter can at most times be a venom filled place where you mostly get the worst out of people, but for the NBA and it’s players it gives them a voice that they use far more than just to tweet out their favorite highlight of the night before. For Raptors All Star Shooting Guard, number 10 Demar Derozan, it gave an option to be a voice for those that go through the same struggles of Depression and anxiety, that they are not alone and even the biggest stars in the biggest setting on the biggest stage can struggle to find themselves. For Demar Derozan his openness and willingness to be honest on such a dangerous platform like Twitter, and to not only be supported back but to be loved on such a big level, shows that vulnerability can be admired almost, and us “normal” beings have something to relate too even if it is something that is not widly popular to bring up in normal conversation, thanks to the stigma that depression can bring with it. 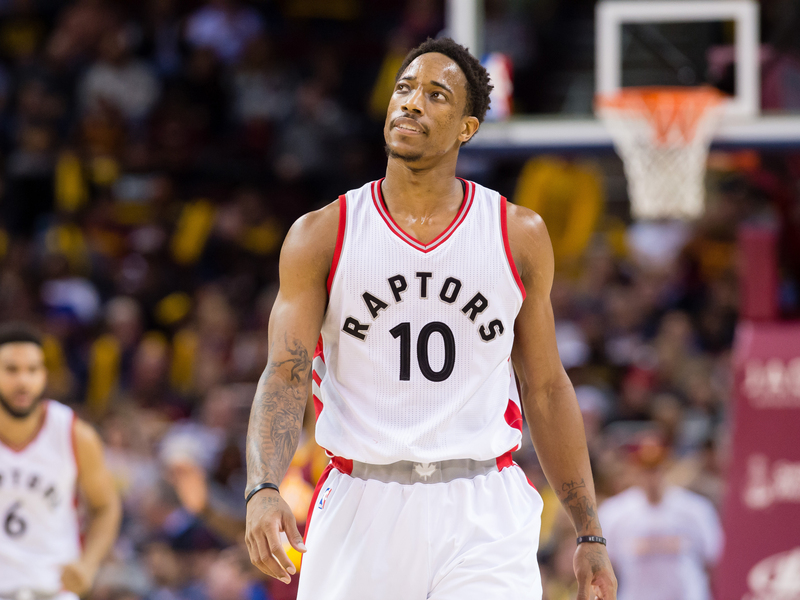 Demar is a man of many abilities that is shown on a near daily basis on a hardwood floor with a Toronto Raptors logo on it, but maybe his best ability is his honesty and also his ability to be vulnerable, and an ability to be human in the toughest job field that being human can have.